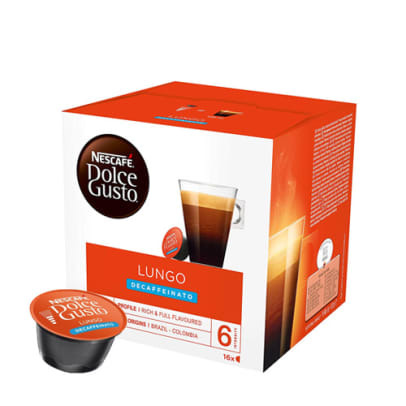 It is possible to enjoy a delicious cup of lungo, without getting any caffeine. 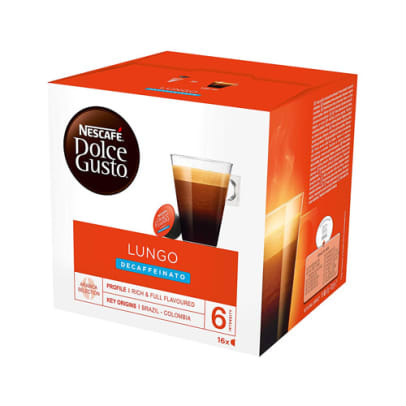 With this Lungo Decaf from Dolce Gusto, you get a rich and aromatic coffee made from the finest Arabica beans. 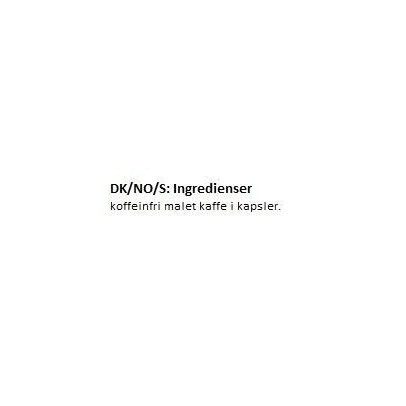 This coffee has slightly spiced undertones and a smooth layer of crema on top, which makes it a great experience every time!